SPARK supports entrepreneurs with services that are aimed at creating strategies for growth, building learning systems that drive innovation, generating the capacity for the activation of business models that lead to sustainable economic development and personal growth. 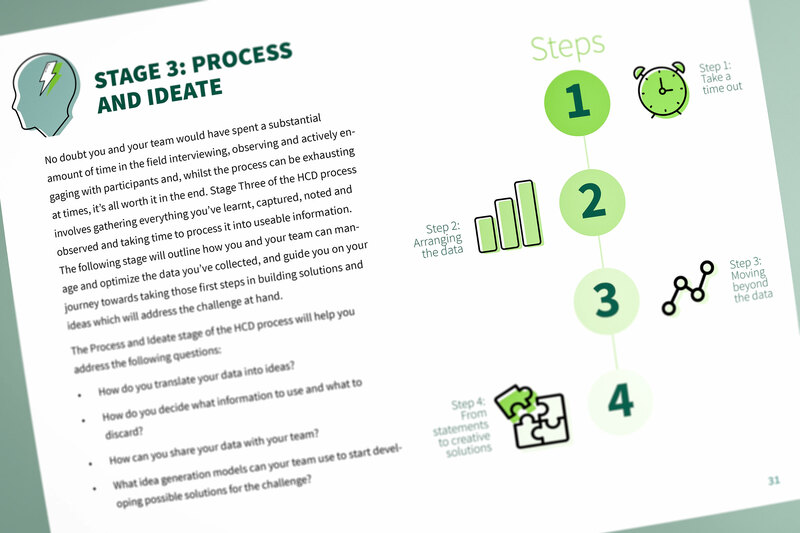 SPARK wrote and facilitated a series of sessions for Nedbank employees focused on the basics of Human Centered Design concepts, exploring what that could look like in South African banking services. 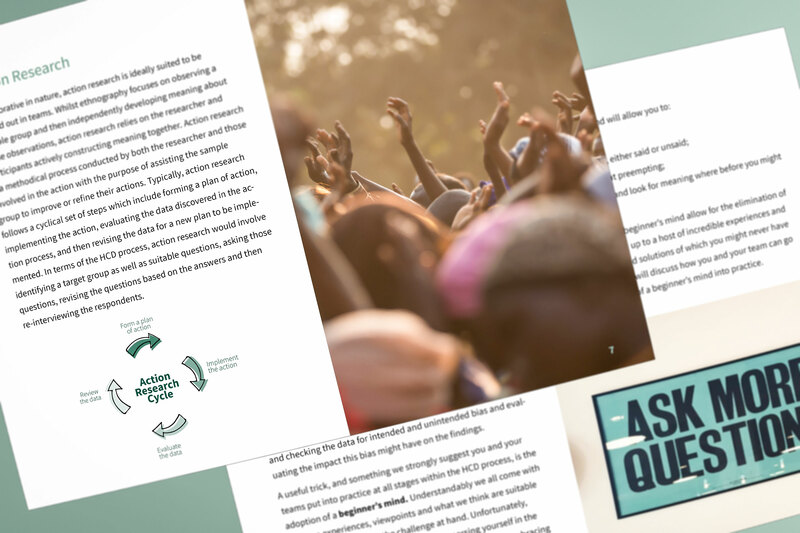 They needed a guide to accompany the training that would showcase the design tools in a way that employees could use when developing their own ideas. 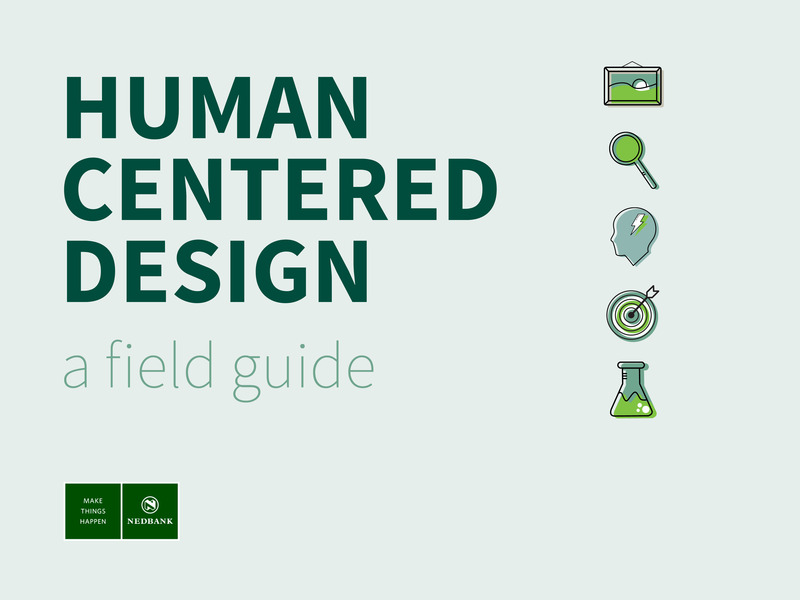 I designed a 60-page guide to showcase the tools and techniques of human centered design that SPARK wrote for them, including custom graphics and icons. 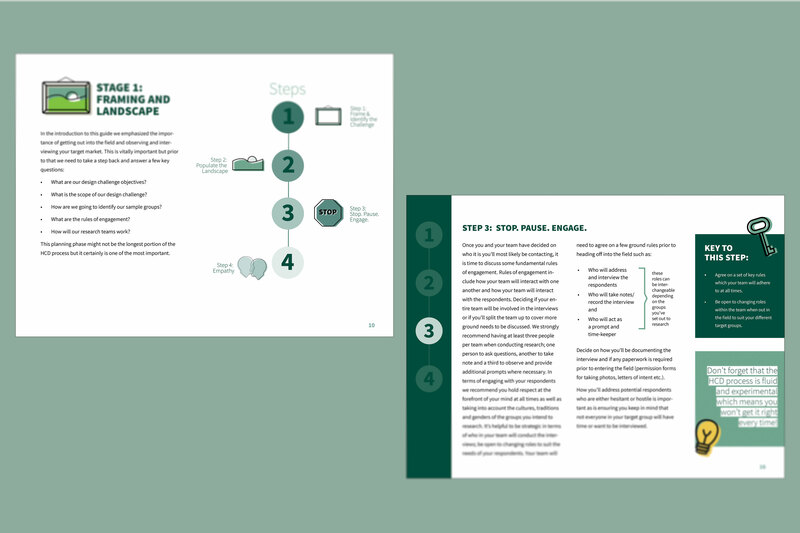 The guide was designed in an easy-to-use format in alignment with Nedbank’s corporate identity. "In the development of this piece of work we found that Jennifer really pushed herself to the limit for us. 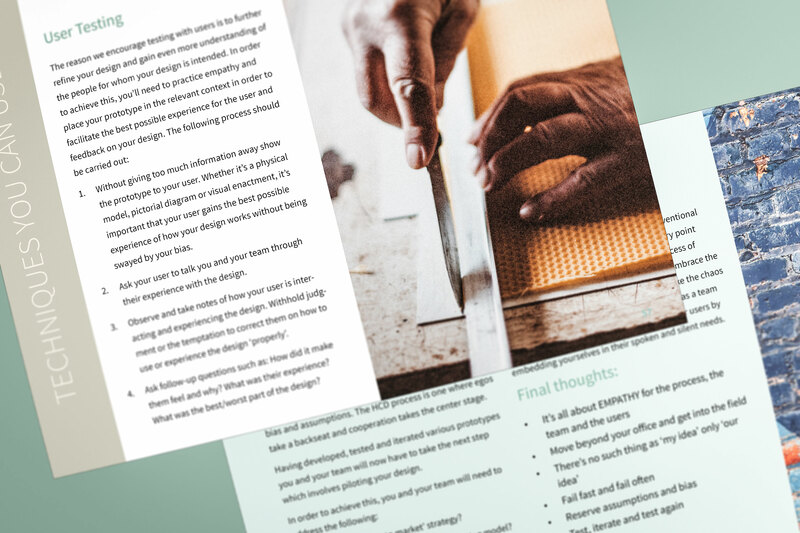 She went out of her way to work with us in a strategic manner as well as a designer. 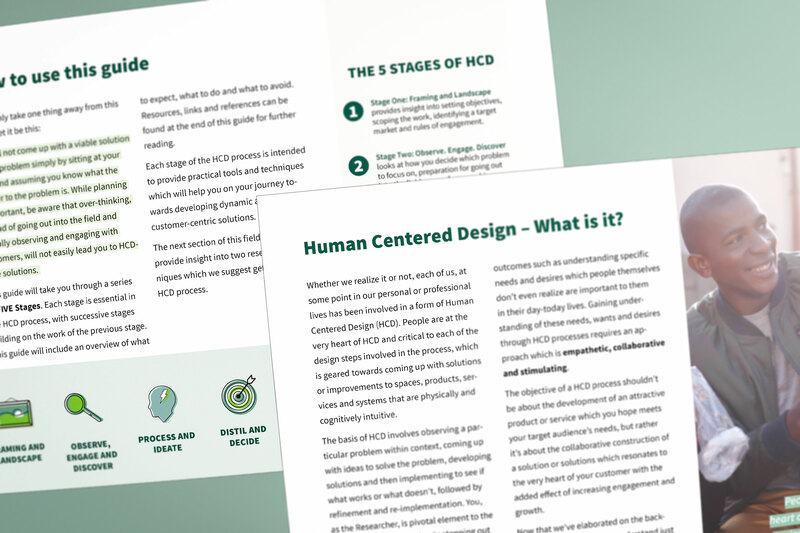 We are incredibly proud of this piece of work and the design elements that helped our client understand the process."